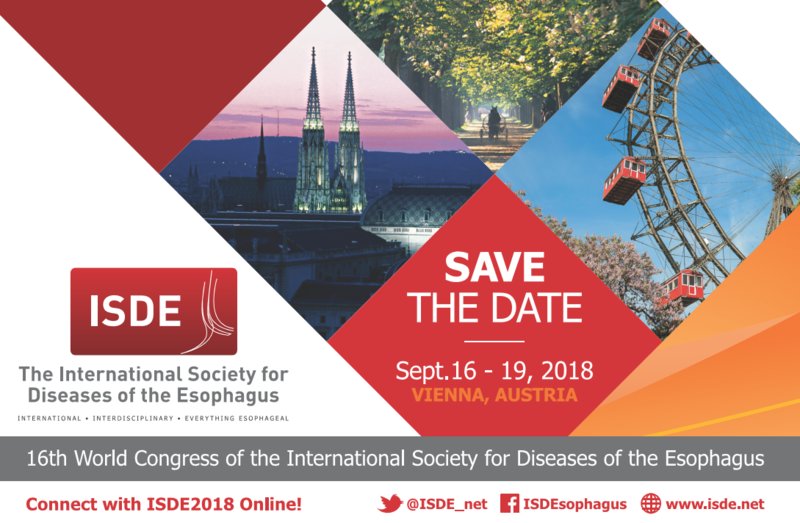 The ISDE2018 World Congress has again been a big success with record-breaking numbers in attendance of almost 1000 delegates and 785 abstracts submitted. You can watch the presidential lecture on the official ISDE YouTube Channel by clicking here. All other educational sessions will be available for viewing in the members area of the website. Just sign in with your username and password. 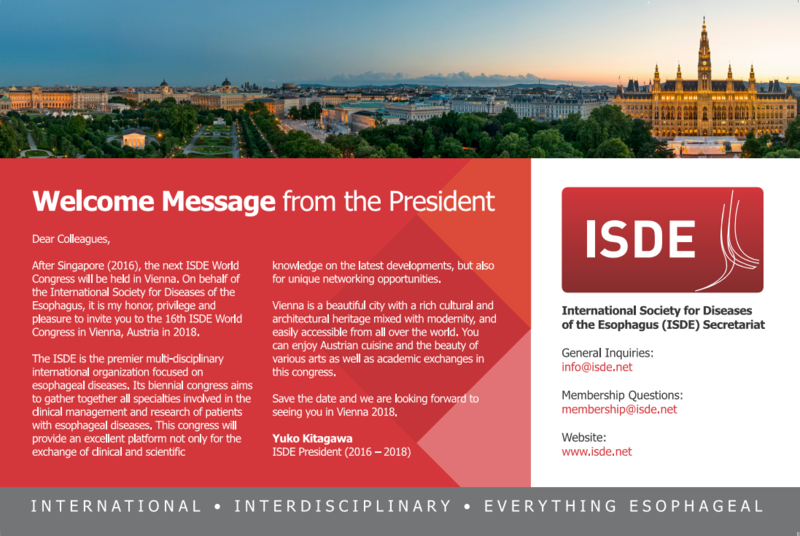 The 17th ISDE World Congress will be held in Toronto, Canada (September 20-23, 2020), when we can come together again to discuss the latest developments. The International Society for Diseases of the Esophagus is a 501(c)3 non-profit organization.